6 inches rigid plate caster with a loading capacity of 500 pounds (227 kg) and a maximum speed of 2.5M/h. Ensure you have four WF-LARGE, four M8-45B, and four M8-N to fix the caster on your structure. See the Installation Steps tab for more information on how to install W-6PF casters. , four M8-45B, and four M8-N to fix the caster on your structure. 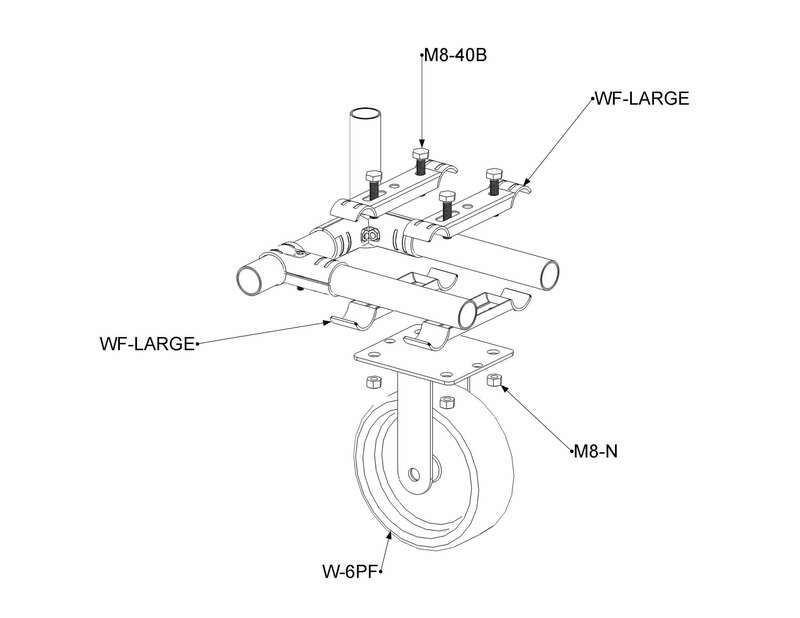 See the Installation Steps tab for more information on how to install W-6PF casters.